Pipeline has claimed the life’s of more surfers then another break in the world. 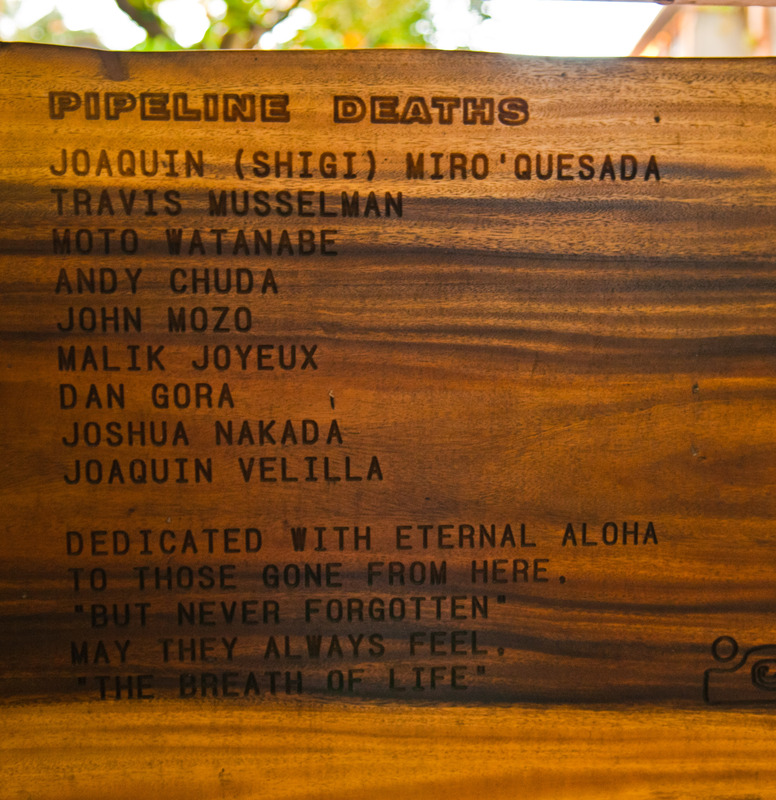 These surfers that are immortalized on the plaque behind pipeline were professional surfers. Makes you think. If it doesn’t make you respect this wave then you are too foolish to ride it. This entry was posted on November 9, 2011 by the surfing photog. It was filed under Uncategorized .